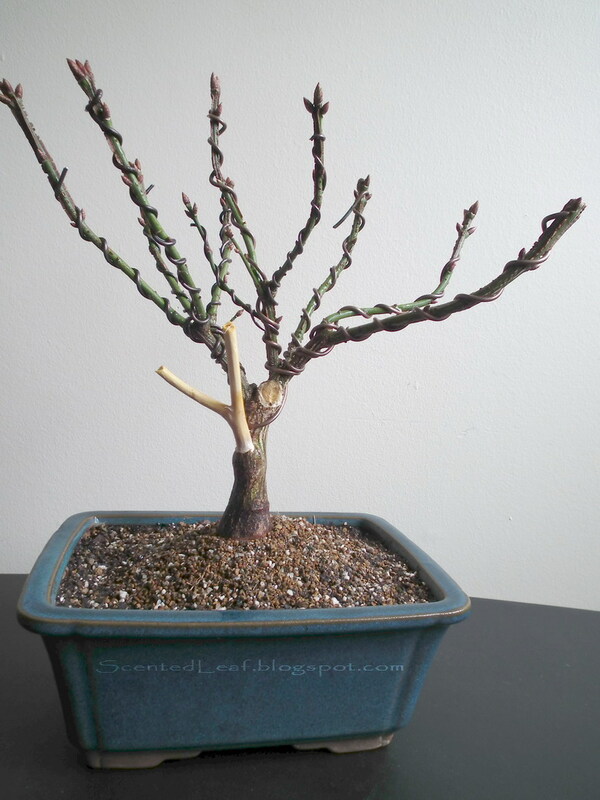 Yeah, I know, they are still without leaves, and perhaps they are under- appreciated if you don't know much about the Euonymus genus (translated as "good name"). 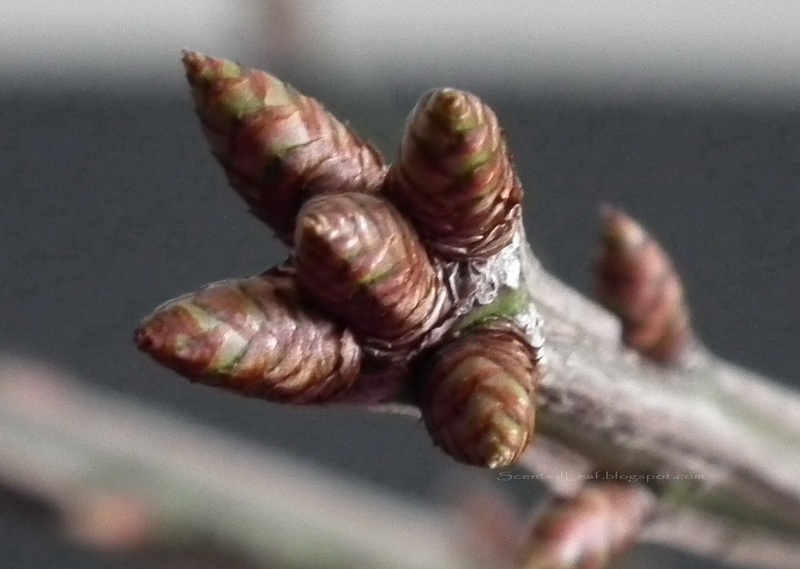 Euonymus is a deciduous shrub from Celastraceae family native to Asia, and the Alatus Species is known also as Burning Bush or Winged Euonymus - as reference to their winged branches with longitudinal cork cambium. 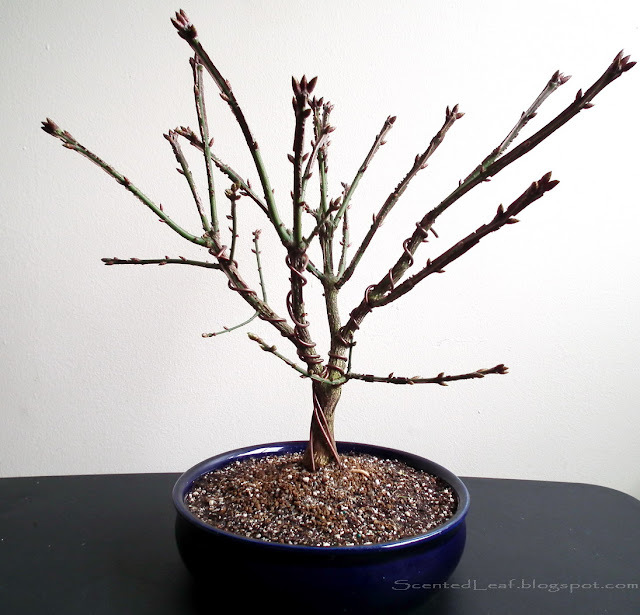 The leaves are growing with a dark green color in summer which is changing in autumn in an attractive bright red(burning bush) if is kept in sunny places or faded red if is kept in shady sites. 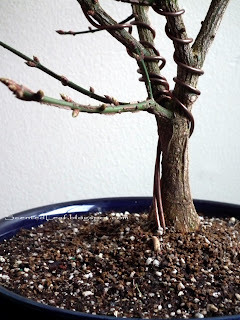 This bonsai takes well to pruning and wiring and because have a rounded multi-stemmed branching habit, we wired them in an informal and broom styles. They were trained in 1 gallon pots last year (I'm sorry but I did not find their pictures I've taken in last autumn). We trimmed the root ball and transplanted them easily in bonsai pots because they have a lot of finer, feeder roots (if left un-pruned tend to become pot-bound). They are tolerant of many conditions (soils, watering or sun exposure) and usually have no serious pests problems. Yearly, it is a very decorative plant for almost 9 months - so we must not be upset for their resting winter stage. Muy buen post. Tengo varios bonsai en mi jardin.